Summary: Aven has always believed she can do whatever she wants, and being born without arms hasn’t stopped her from playing guitar, excelling at soccer, and making plenty of friends at her Kansas middle school. 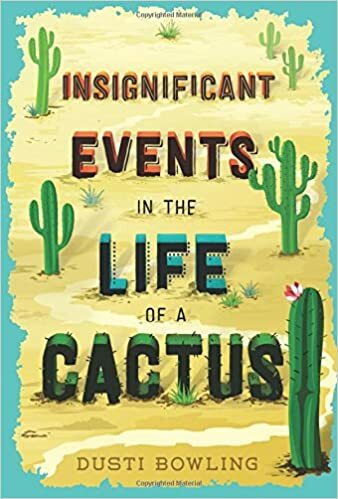 But when her parents suddenly decide to take over Stagecoach Pass, a has-been theme park in Arizona, Arlen has to start eighth grade in a new school. Unable to face the stares of her new classmates, she takes to eating her lunch in the library, where she meets Connor, a boy with Tourette’s syndrome and Zion, a boy struggling with weight and self-esteem issues. The three become friends, and uncover a mystery at Stagecoach Pass involving tarantulas, a locked desk, and a mysterious girl who bears an uncanny resemblance to Arlen. In the process of solving the mystery, the kids also have to acknowledge their own limitations and learn to reach out and help each other reach their full potential. 272 pages; grades 4-7. Pros: Arlen is a confident, hilarious narrator whose fun and supportive parents have taught her to face life head-on and learn to do as much as she can for herself. The story ends on a realistically uplifting note for all the characters. Cons: Zion seemed like a bit of an afterthought. I would have liked to have known more about him and seen a little growth and change for him.